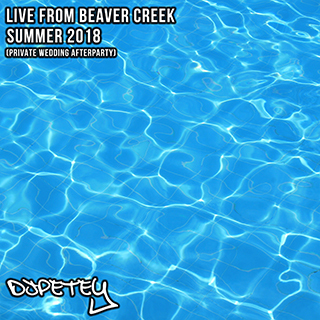 New Mix – Live From Beaver Creek – Summer 2018 | DJPetey.com!!! I dont take on a ton of wedding events, but this one last week looked pretty promising, so I jumped on it. I also, recorded some of the afterparty and threw it on my streaming site (www.djpetey.fm) to share with you all. Click HERE for the direct link to stream now. Gotta love being able to take a weekend trip up to the mountains for “work”. Anyway, this doubles as a nice summer time mix (IMO). Im gonna get back into the habit of posting more mixes soon. I promise. So stay tuned for more. Hope you enjoy. (click read more below to check out the track listing).